Bridey Sullivan is a young American who has fled a peculiar and traumatic upbringing in Washington State. Searching for a new beginning, she arrives in Athens, Greece, in 1989, and quickly finds work as a “runner,” riding trains looking for tourists to lure back to the four-dollar-a night Hotel Olympos in exchange for a small commission and a free place to stay. There, she meets a queer couple, English poet Milo Rollack and Eton dropout Jasper Lethe. As the trio “run” trains, slip in and out of homelessness, and drink away their meager earnings in seedy corner bars, they form a unique kind of family. But when they befriend an IRA fugitive, they become inextricably linked to an act of terrorism that will mark each of them for life and force them apart. Soon after, Bridey reemerges but no one has fared well in her absence; Milo has disappeared and Jasper has died mysteriously. The news drives her from the streets of Athens’ red-light district to the remote island cliff houses of the southern Mediterranean, hoping to find answers, and seeking an impossible absolution. As the years pass, Milo, now a successful writer and professor, searches for her, equally haunted by the secret of their past and struggling to live ethically in a world he knows is corrupt. 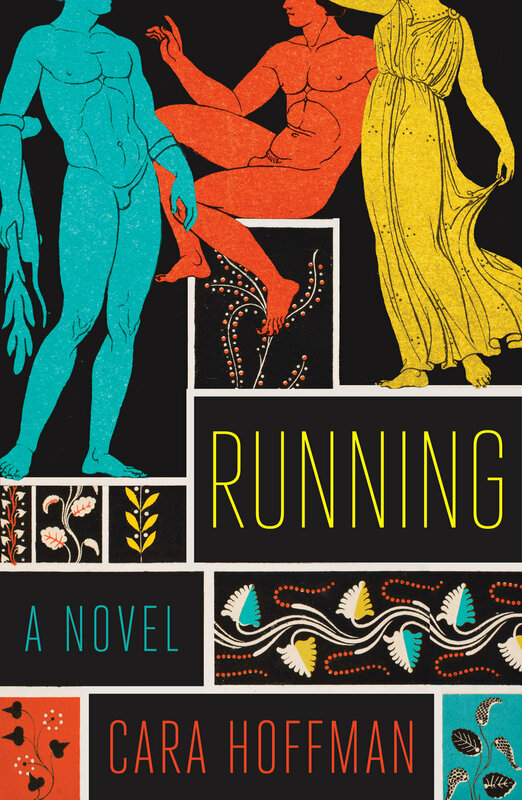 Dark and Incendiary, Running is a sweeping and fearless story of friendship and survival from Cara Hoffman, An author whose work the New York Times says "Reminds us art and love are all that can keep s from despair." One of Entertainment Weekly's "Best New Books"
One of Esquire's "Best Books of 2017"